This is a guide to help you install a switch for you to have the ability of extending the glow time. 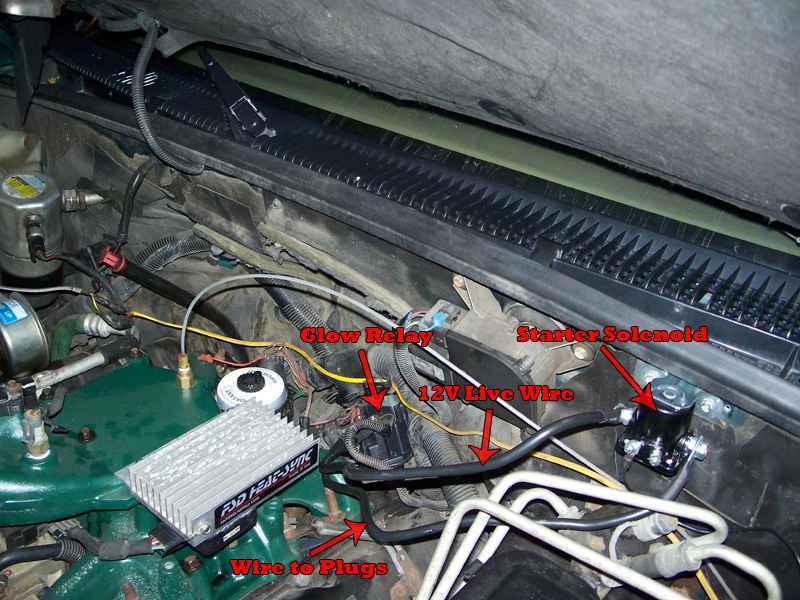 This is helpful when you live in older climates or if you have AC Delco 60g glow plugs. I only suggest installing this if you have self regulating glow plugs. 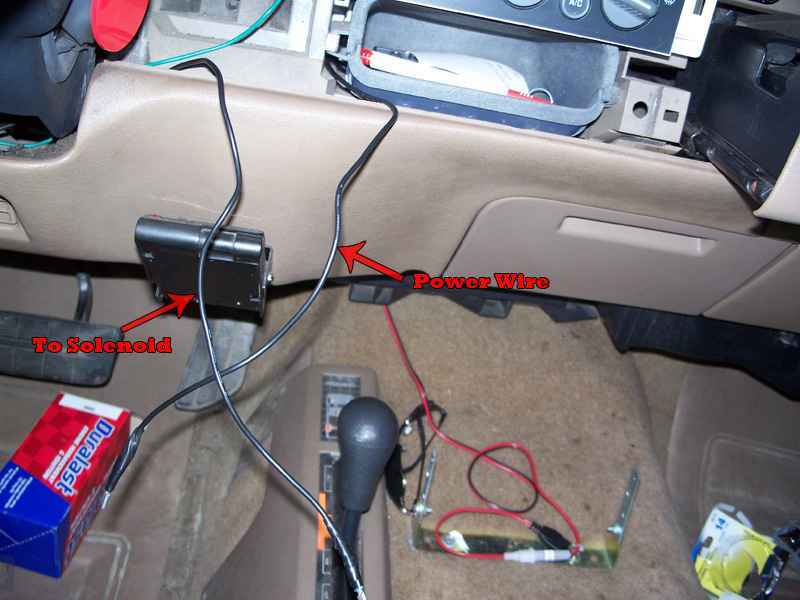 This is a fairly simple modification and if you set everything up yourself you will save quite a bit of money. Most kits for this will cost you over $100, but if you follow this guide you can do it for under $40. 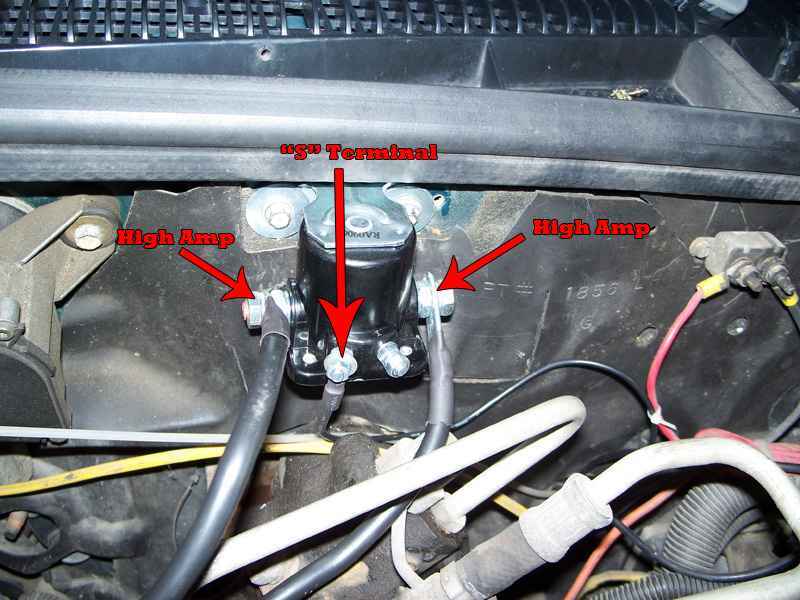 Disconnect battery grounds and then take off the nuts that hold the power lugs on the glow plug relay. 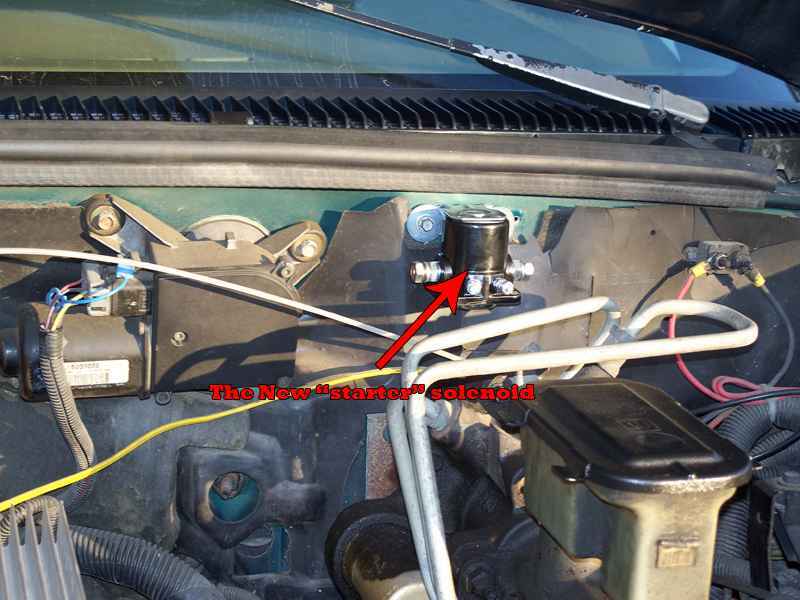 Mount the solenoid in your place of interest (I mounted mine where the Baro sensor was located and relocated my baro sensor). Remove your dash bezel. 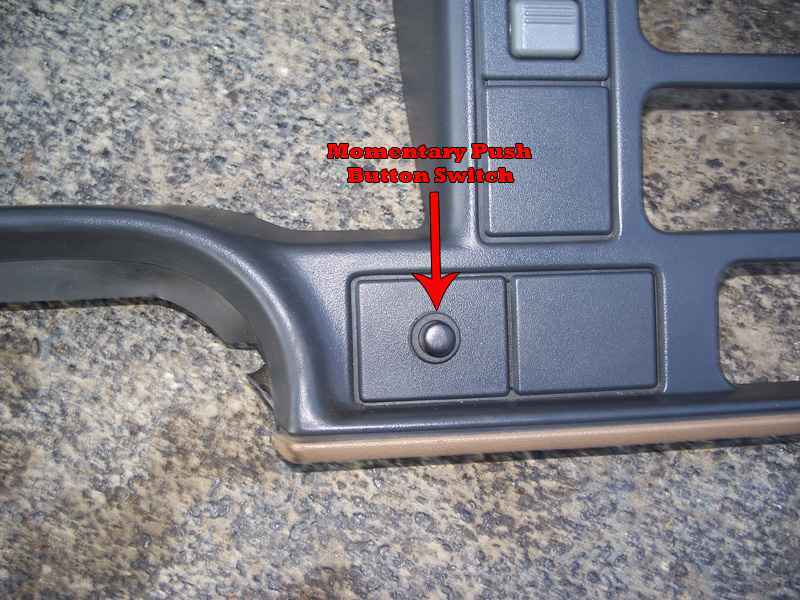 You can do this by pulling out your cup holder a little bit, dropping your steering column all the way down, and for automatics putting shifter into "1". After that pull the corners and along the top on the bezel. Only thing holding it on are the clips. 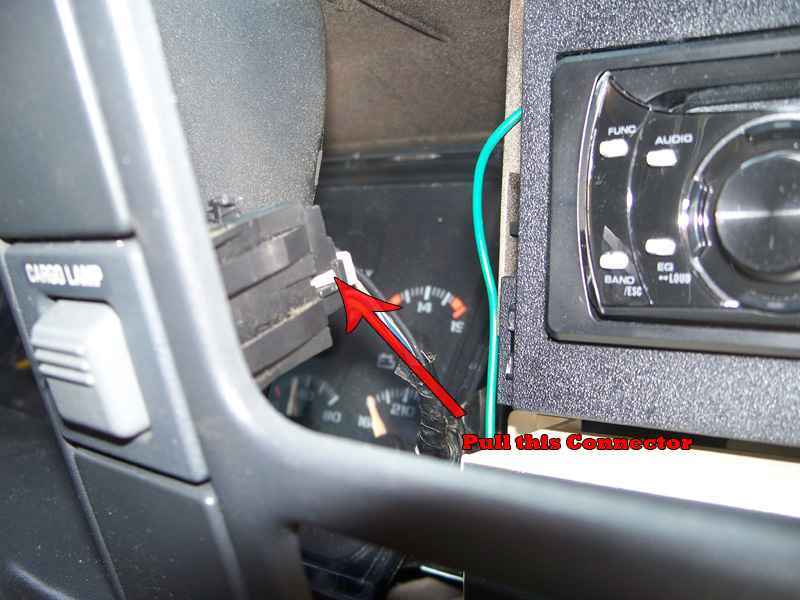 After the bezel is loose, pull it away from the dash enough so you can unplug the headlight switch and cargo lamp, and 4x4 switches. Note: You do not need to remove your bezel if you place switch on one of the two extra switch panels, just pry those out and you can feed wire through. Drill where you are going to mount your switch and mount it (you have one shot). The next thing you will need to do is run the power to the switch. Using the fuse tap, tap into a fuse that is only has power when key is on and run that wire to the switch (I used Cruise fuse). After the switch is all hooked up (solenoid and power) go ahead and hook up everything behind the bezel (headlight,cargo, 4x4 switches) and mount the bezel back on the dash. Note: Do not over tighten the nuts on glow relay. New glow relay is $42. 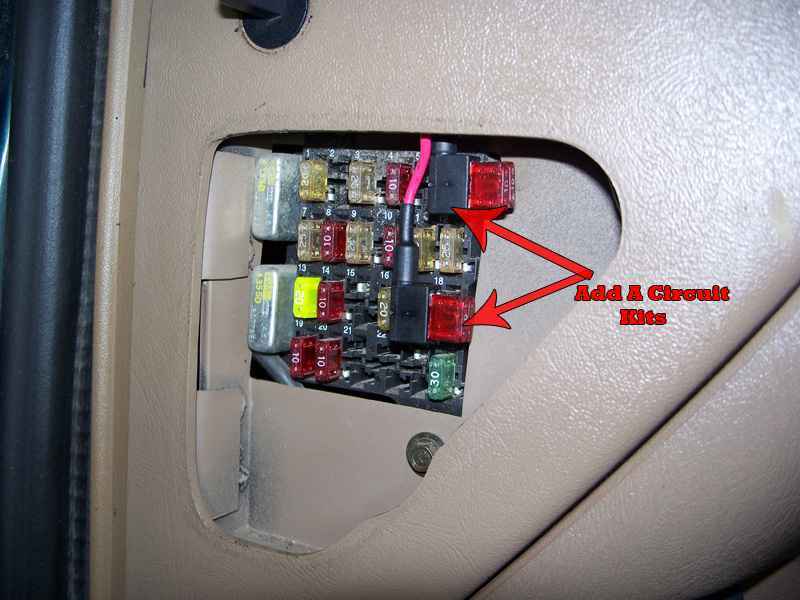 Make sure all the connections on the relay and solenoids are tight and no bare wires are touching that shouldn't be. Hook the batteries back up and test. Turn on key, wait for the glow light to go off and push the new glow button. If working properly the glows will work (hear the click) and the WTS light on dash will light up (97+ WTS light will not light up, the light is computer controlled). If this happens then you are done . Note: On 97+ trucks you may want to install an extra indicator light to make sure your glows are working. 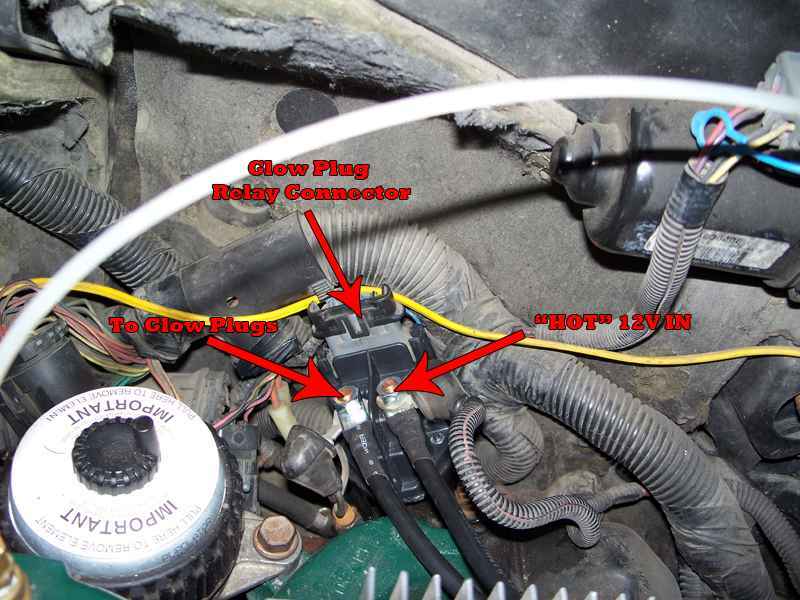 Glow plug idiot light - time or heat sensor? 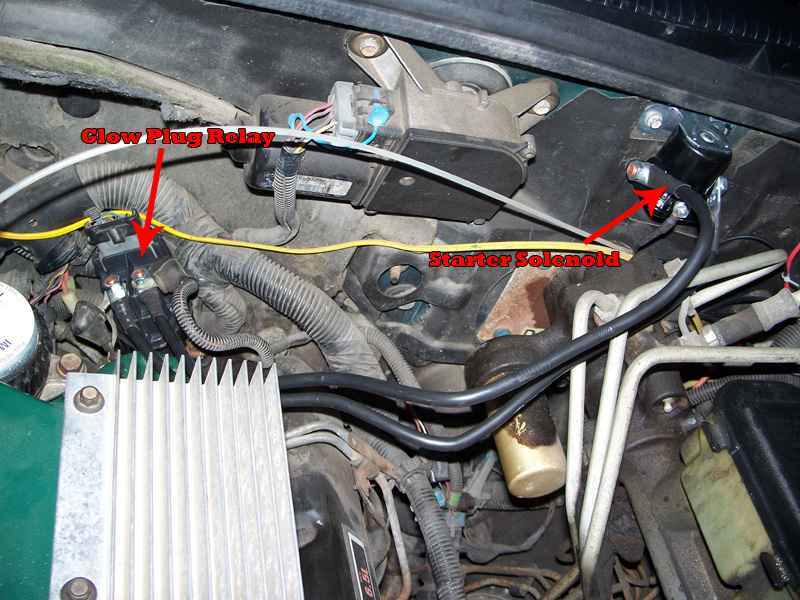 6.5 glow plug relay issue?